Is the counselor making a mockery of the courtroom, or does the judge know which letter to pick next? 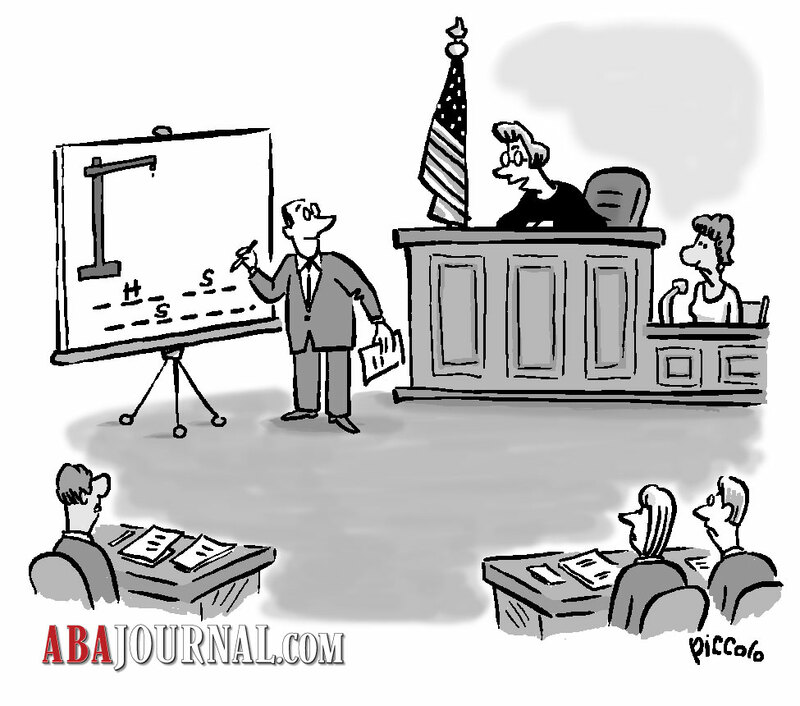 Make your case for this Hangman scenario, and send us your best caption for this month’s cartoon. The winner of our October challenge will see their caption and credit printed in an upcoming issue of the ABA Journal. Congrats to September’s winning contest contributor, M. William Morgan of Jackson, Mississippi. His caption will appear in an upcoming issue of the ABA Journal. 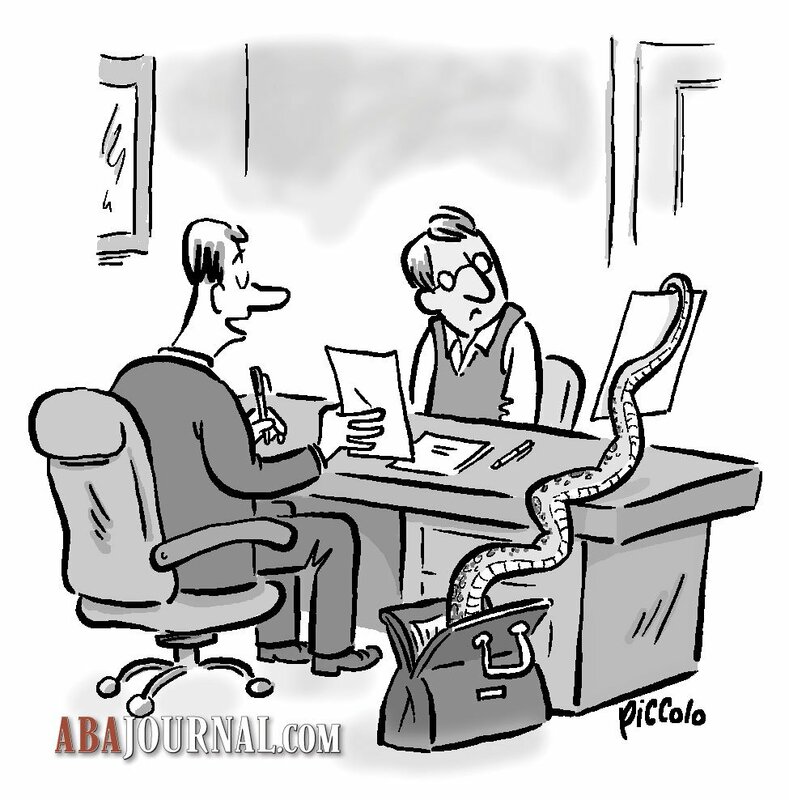 Submit the caption you think best fits this cartoon by emailing captions[at]abajournal[dot]com with “October Caption Contest” in the subject line. Only entries received by 11:59 p.m. Sunday, Oct. 8, will be considered. How to enter: Submit the caption you think best fits the scene depicted in the cartoon by emailing captions[at]abajournal[dot]com with “October Caption Contest” in the subject line. Deadline for entry: Contest entries must be submitted by 11:59 p.m. Sunday, Oct. 8.